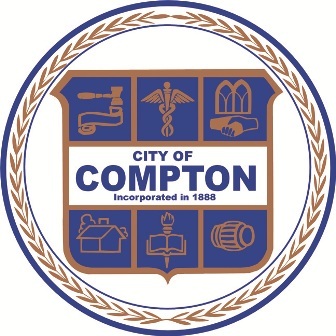 Officials today celebrated the success a three-year effort to reduce crime in Compton. The reduction in crime – including double-digit declines in gang- related shootings and killings – was the result of a three-year partnership between the city, the Los Angeles County Sheriff's Department, which patrols Compton, and federal agencies, officials said at a news conference at Compton City Hall. The Violence Reduction Network was launched in 2015 in Compton and more than 10 other U.S. cities, according to the sheriff’s department. The effort led to 4,092 arrests, several federal indictments and the seizure of 636 illegal guns, 80 pounds of explosives and more than 640 pounds of narcotics “including enough Fentanyl to kill nearly four million people,” according to a sheriff's department statement. “This program provided the LASD Compton Station technical resources, training and the ability for the Department of Justice and local officials to work together seamlessly to address 12 key areas of focus, including gang violence and prevention, human trafficking, mental illness and homelessness, at- risk youth, and trust-building in the community,” according to the sheriff's department. “The message to the criminals is: We are coming for you. And when we do, many of you will be looking at hard time in a federal prison, far from home and far from your gang affiliations,” McDonnell said.